Daniel K. Inouye was renowned not only for his accomplishments, but also for his humility. Though he never sought out accolades, he received many. 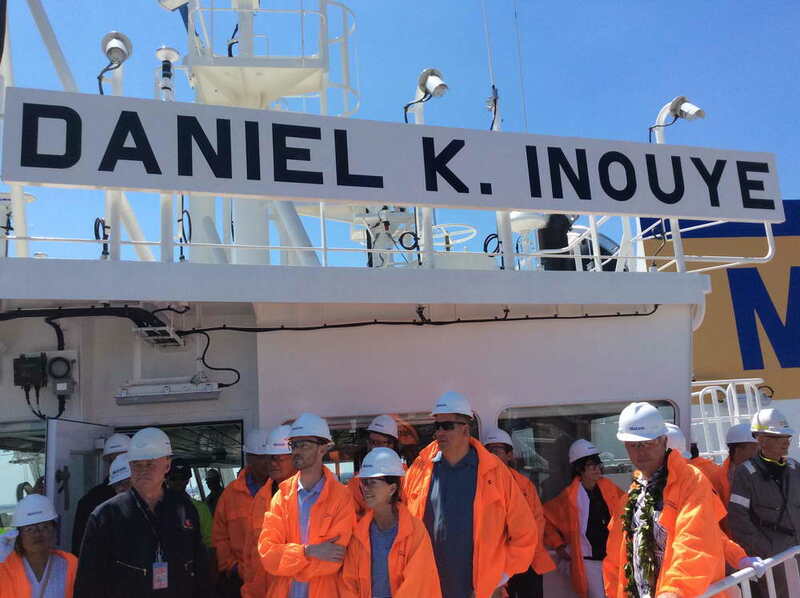 The range of namings that have occurred since the senator’s death pay tribute to the widespread impact of Daniel K. Inouye during his lifetime. 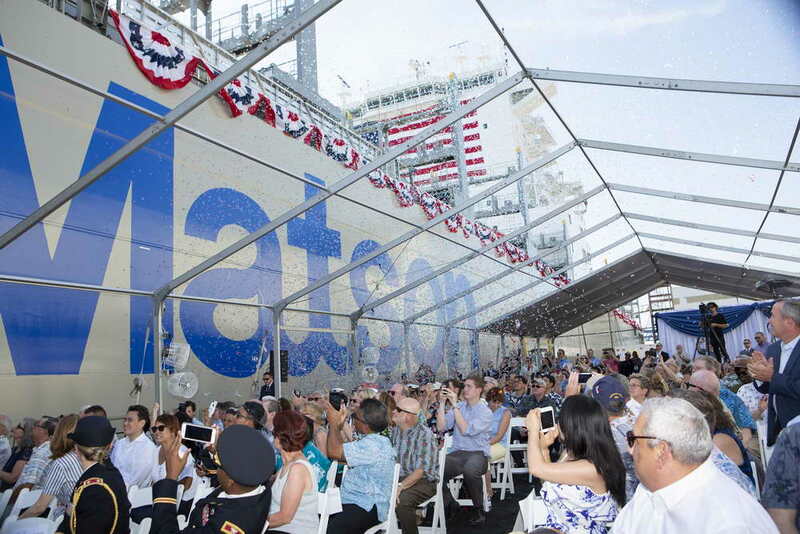 The largest containership ever built in the United States was christened on Saturday, June 30th, 2018.Honolulu-based ocean cargo transportation firm Matson Inc. blessed the new ship named after the state’s late U.S. Sen. Daniel K. Inouye during a ceremony at a Philadelphia shipyard. 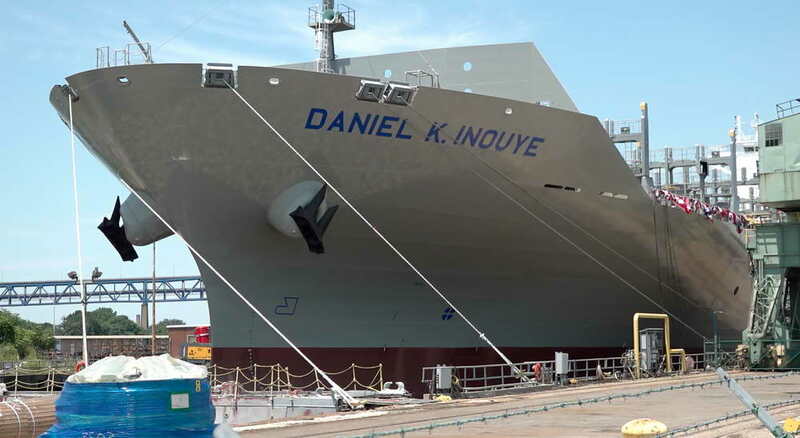 On Monday, May 14, General Dynamics Bath Iron Works celebrated the keel laying of the future USS Daniel Inouye (DDG 118). 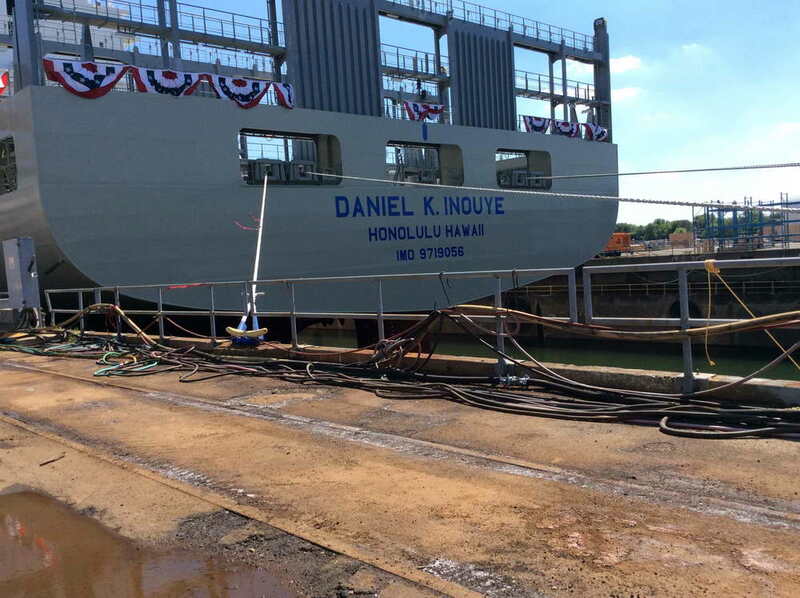 The U.S. Navy named the ship in honor of Sen. Daniel Inouye, a Medal of Honor recipient for heroism during World War II. Sen. Inouye represented Hawaii in the U.S. Senate for 50 years and was posthumously awarded the Presidential Medal of Freedom. The American Israel Education Foundation, affiliated with American Israel Public Affairs Committee (AIPAC) established the the Daniel K. Inouye Symposium for Policy Experts — an annual trip to Israel. 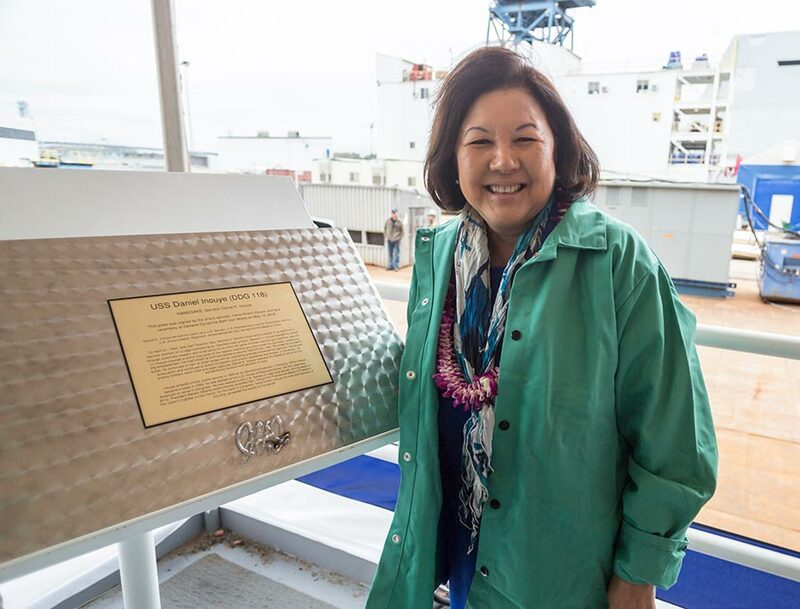 It honors the memory and legacy of Senator Inouye. The Inaugural trip was June 3 – 11, 2017. Irene Hirano Inouye was in DC on June 12th and attended the AIPAC Board meeting where a representative of the traveling delegation shared heartwarming experiences and important diplomatic policy discussions. Irene presented a gift to commemorate the inaugural visit – a framed 1952 Israeli bond, the type Senator sold while going to law school at George Washington University — with the request that it symbolize the annual mission and Senator’s steadfast commitment to a strong U.S.-Israel relationship. The U.S. Institute of Peace will be naming their planned courtyard for U.S. Senators Inouye and Stevens. It will be in the center of their complex with their beautiful headquarters on one side and two buildings (under renovation) on the other sides – one named for President Clinton and the other for President Bush. Senator Spark Matsunaga advocated for peace studies under the guise that our nation should make an investment in peaceful, conflict resolution. Senators Inouye and Stevens carried it forward to the establishment of the U.S. Institute of Peace. We invest billions in war, a modest investment in peace are dollars well spent.